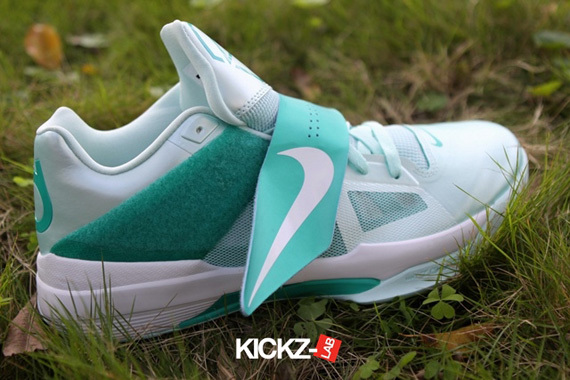 With a little over a week remaining before their official release, today brings us our best look yet at the "Easter" Nike Zoom KD IV. 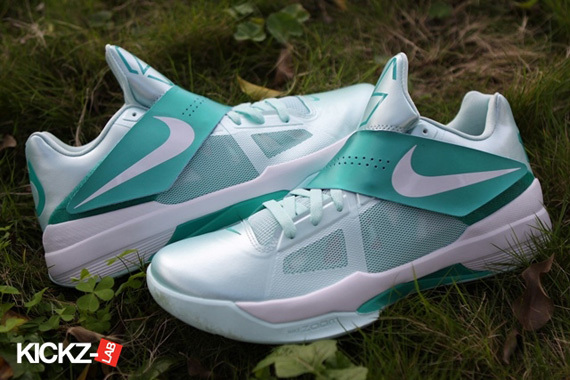 Just like the rest of Nike Basketball's "Easter" collection, the Zoom KD IV is dressed in a combination of soft green hues and white accents. 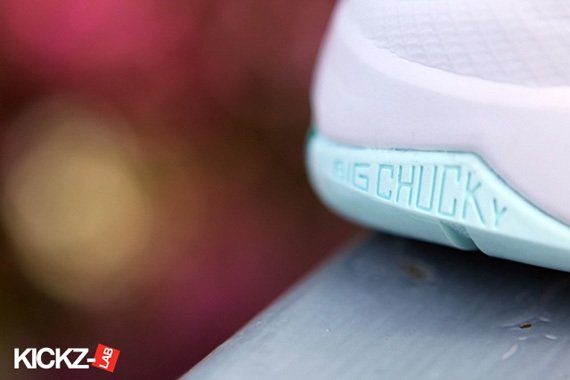 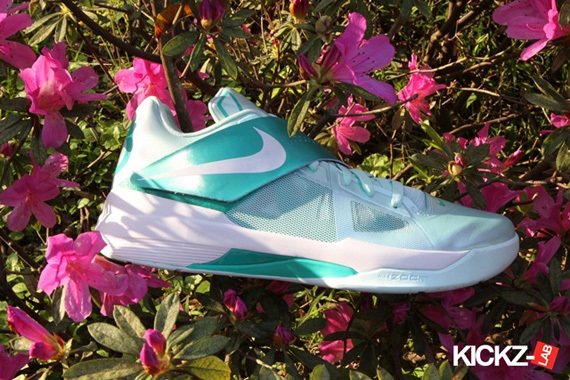 Mint candy builds the entire synthetic upper, while white accents on the strap Swoosh, medial Swoosh, tongue branding and midsole down below. 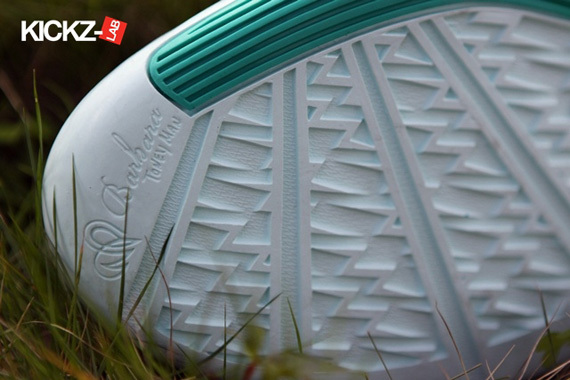 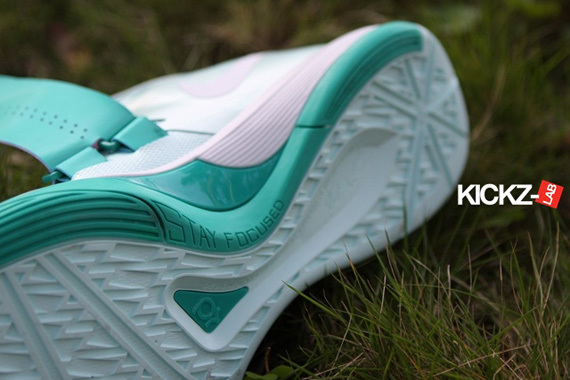 New green completes the look, handling the Adaptive Fit strap, heel and tongue KD branding. 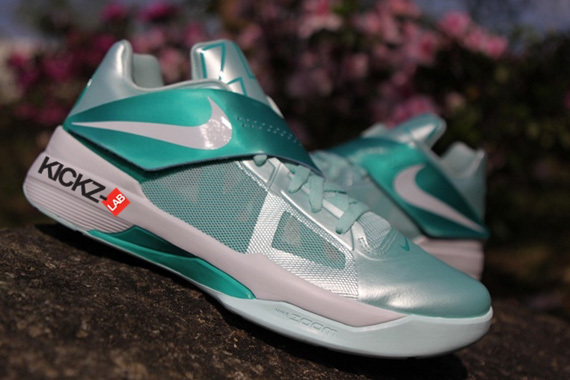 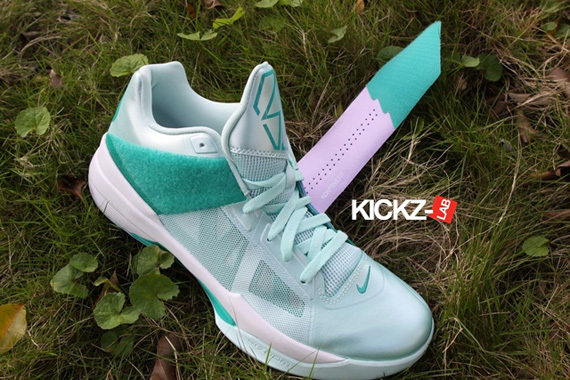 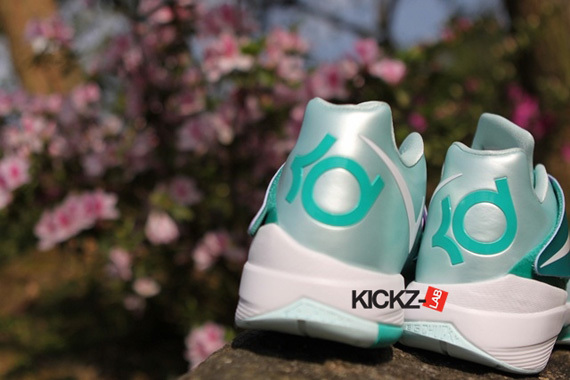 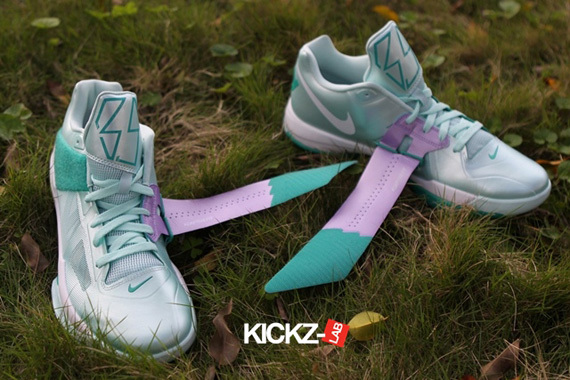 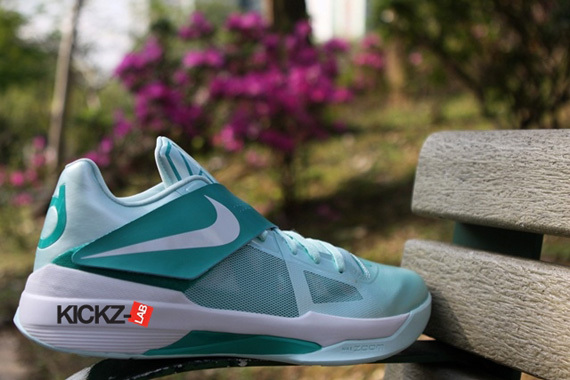 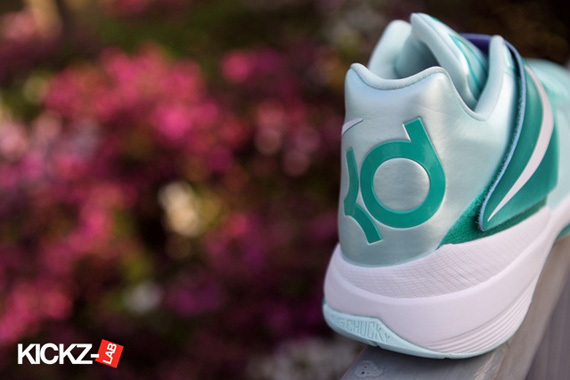 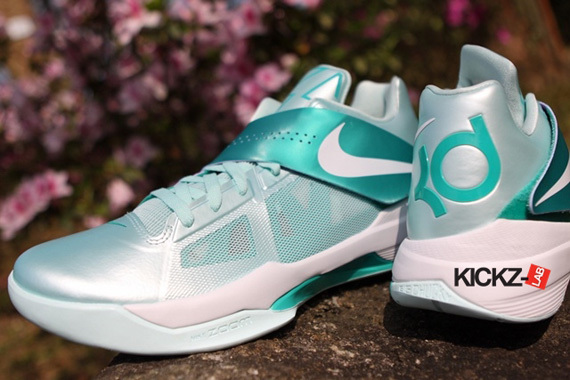 The "Easter" Nike Zoom KD IV is scheduled to release April 6th at select Nike Basketball retailers nationwide.